Next stop on the World Tour: We’re in Ghana! Welcome to the second stop on the Bat Detective World Tour! We’ve spent the past few weeks uploading audio data from surveys in the UK, where the Bat Detective team and the Bat Conservation Trust are based. During that time our team of citizen scientists have completed over 7500 classifications, so thank you for your work during the first leg of the world tour. You can learn more about how your input is helping us to improve our automated bat detector softwares at this recent blog post. Now, just as the UK weather is getting colder, we’ve jetted off to warmer climes. We’ve just arrived in Ghana in tropical West Africa, a country with rich biodiversity and a range of amazing bat species, and an important agricultural producer of crops such as cocoa, sugar cane, rubber, palm oil and bananas. Bats are pollinators for some of these crops, including some mango, cocoa and banana species – one of the many important ‘ecosystem services‘ that they provide for humans. Starting today, 30th November, over the coming weeks we’re asking our bat detectives to listen through audio recordings of bat surveys around Ghana’s capital city of Accra (shown on the map below), conducted in 2010 by iBats volunteers. Click here to visit the Bat Detective site now to start listening and classifying. As you might expect for a tropical country with high wildlife species diversity and associated acoustic variety within the environment, many of the sounds you’ll encounter in these data are markedly different from the European audio data we’ve previously hosted on Bat Detective. They include different insect species, as well as a variety of bat species with their own fascinating, complex calls. One particular bat species is one of Accra’s most famous urban residents – the straw-coloured fruit bat (Eidolon helvum). Massive gatherings of up to a million individuals of this large species are known for roosting in trees near the centre of the city, before spectacularly taking off at dusk and travelling outward en masse to forage. However, you won’t hear them in our Bat Detective recordings, as they’re part of the fruit bat family Pteropodidae, which do not use true ultrasonic echolocation to communicate and search for food. 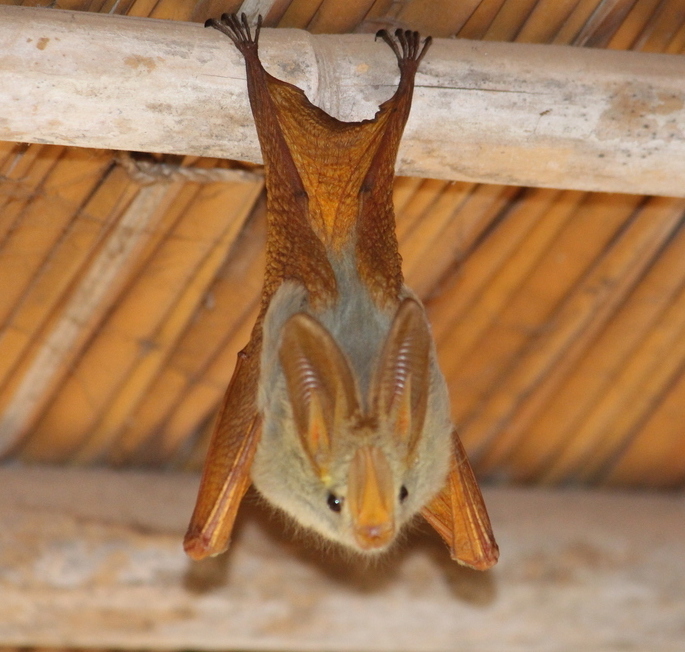 However, there are a wealth of echolocating bat species in this region of Africa that you might encounter while searching our Ghana data, from the widespread Angolan free-tailed bat and Noack’s roundleaf bat, to the distinctive yellow-winged bat (pictured below) a member of the false vampire bat family. Although the Ghana recordings are often quite acoustically different to our previous European data, the same general rules for recognising different sounds still apply. 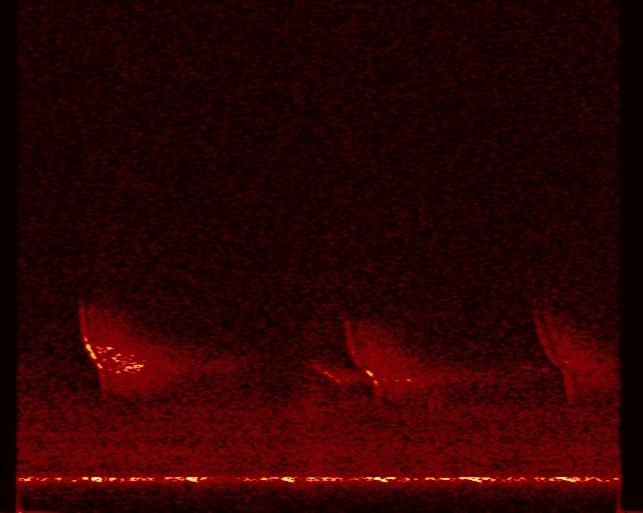 Bat calls sound like a chirp, squeak or whistle, and usually show up on the spectrogram as defined pulses of sound, sometimes with additional harmonics at higher frequencies. 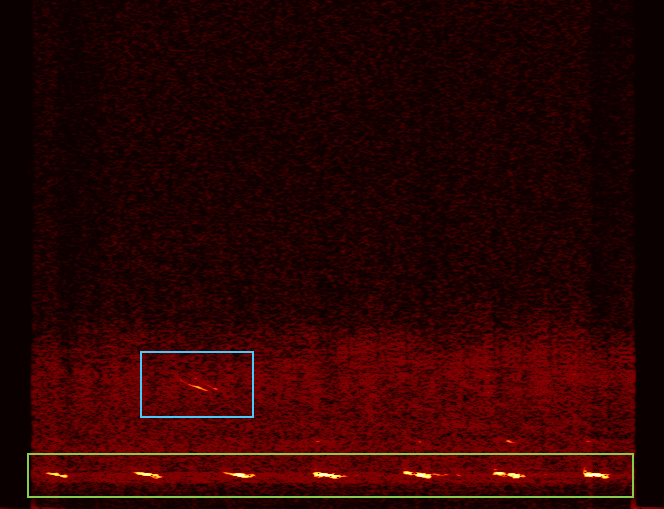 The following two images are examples of bat calls from the Ghana data. 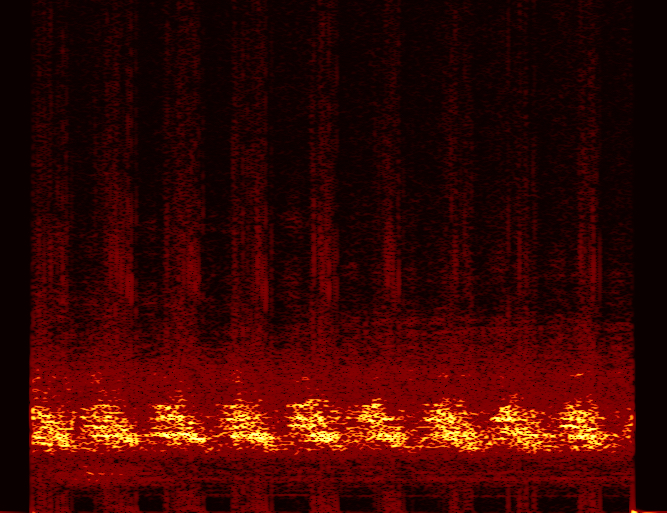 And the spectrogram below contains two distinct sets of bat calls from two individuals: one series of almost vertical calls at slightly lower frequency; and a separate, very bright horizontal call with two harmonics stacked at higher frequencies. If you’re lucky you might also come across a ‘feeding buzz’ – a distinctive sequence of call pulses that gradually become closer and closer together as the bat approaches its prey, as shown in the clip below. Insects often make rhythmic calls which can sound like a serrated rattling, buzzing or hooting. 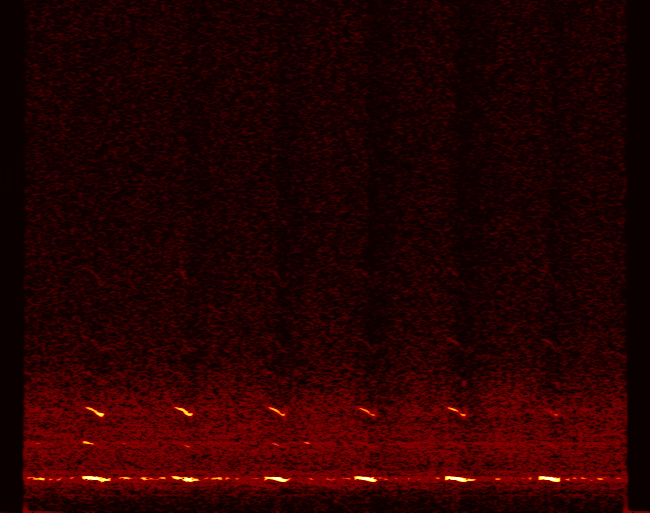 Visually they often look like repeated figures across the spectrogram at lower frequency than bat calls, such as in the following two clips. 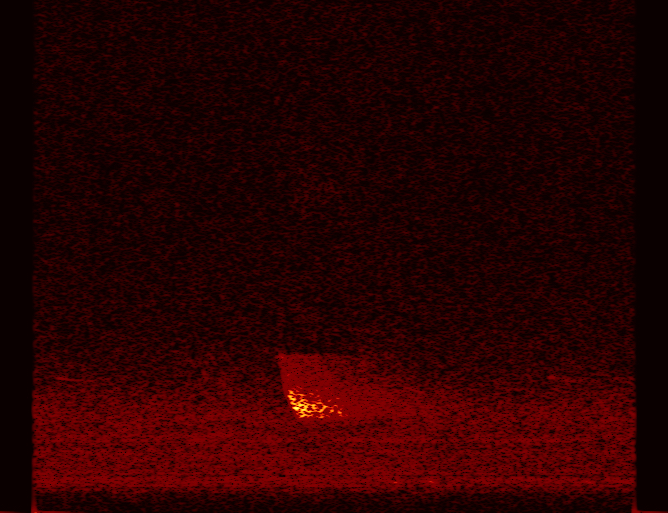 They can also often sound like car alarms or like distinct pulses within a messy spectrogram. 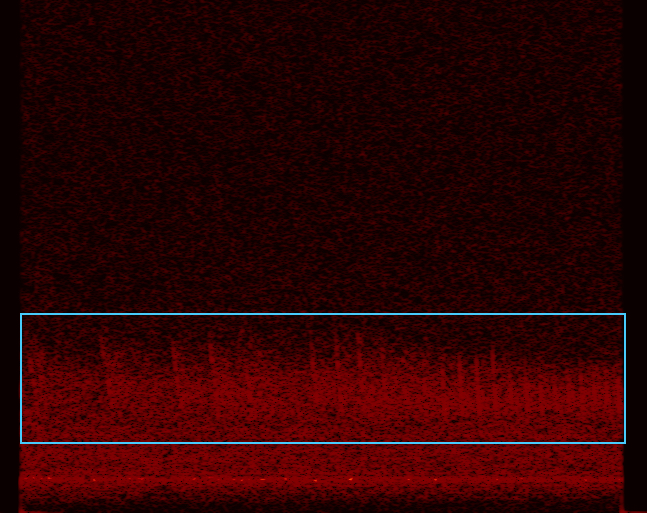 You might also encounter both insect calls and bat calls in the same clip, such as in the example below, where a bat call is shown in the blue outline, and the insect calls in green. You can usually tell the two apart by listening carefully for the bat’s distinctive chirping or whistling tone. More detailed information and examples of different sound types are provided in the key at the bottom of the Bat Detective ‘classify’ page. 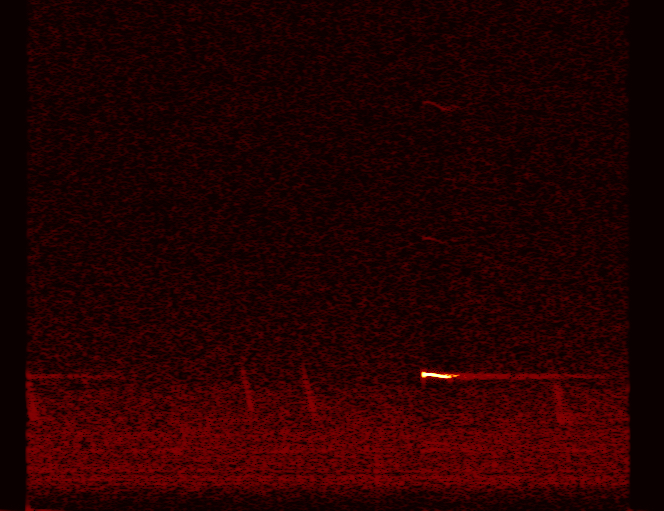 But if you’re still unsure about whether a sound is a bat or not – or even if you’ve just discovered a particularly strange or interesting clip that you want to draw attention to – just use the Talk function to discuss the call with others in the Bat Detective community and our researchers. 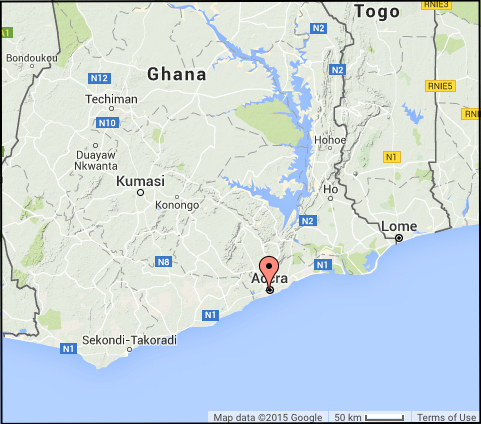 We hope you’ll enjoy searching for bat calls in our Ghana data over the coming few weeks. We’ll be staying in Africa for the next stop on the tour too, so keep an eye on this blog and our Twitter and Facebook pages for future news announcements.